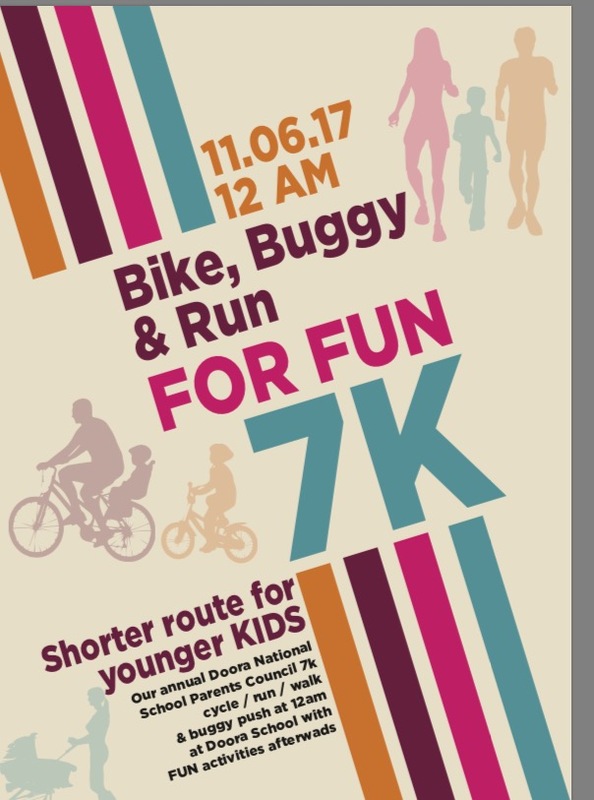 Family fun run, cycle, buggy push (toddlers can push their dolls/parents can push the buggies!). Cycle is just 7 k on quite country roads ….perfect length for young and old looking to burn energy or calories! Please invite cousins, aunties, uncles, past pupils, grandparents & friends near and far. All money collected will go towards Doora Parents Council fund which supports our kids activities and other initiatives throughout the school year.. #ourkidsdooraschool #dooraschoolparishpride Hope to see you there ….